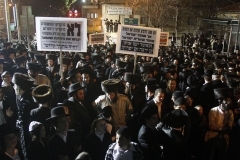 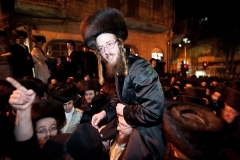 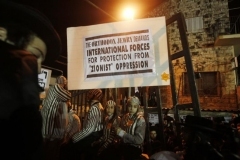 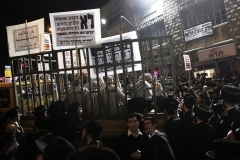 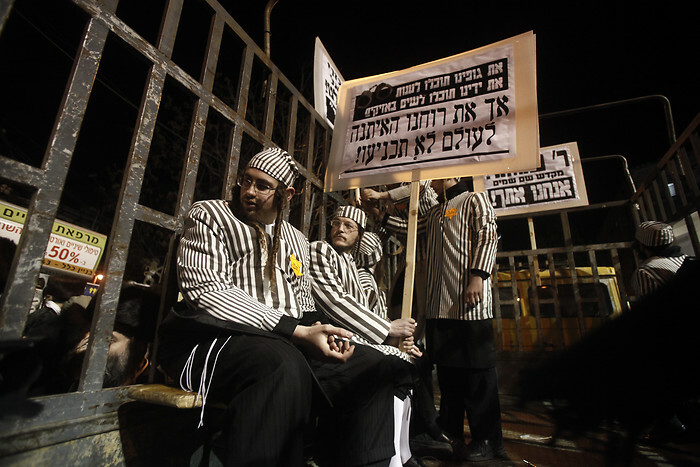 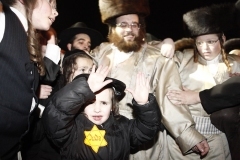 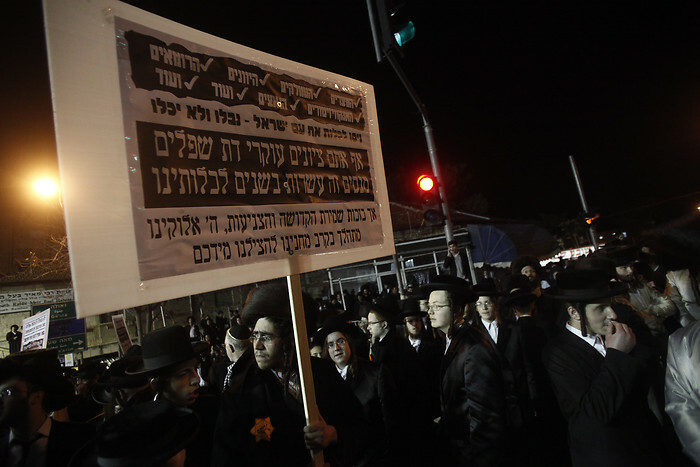 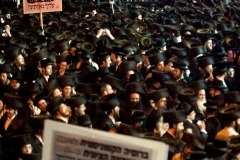 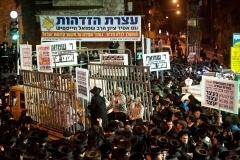 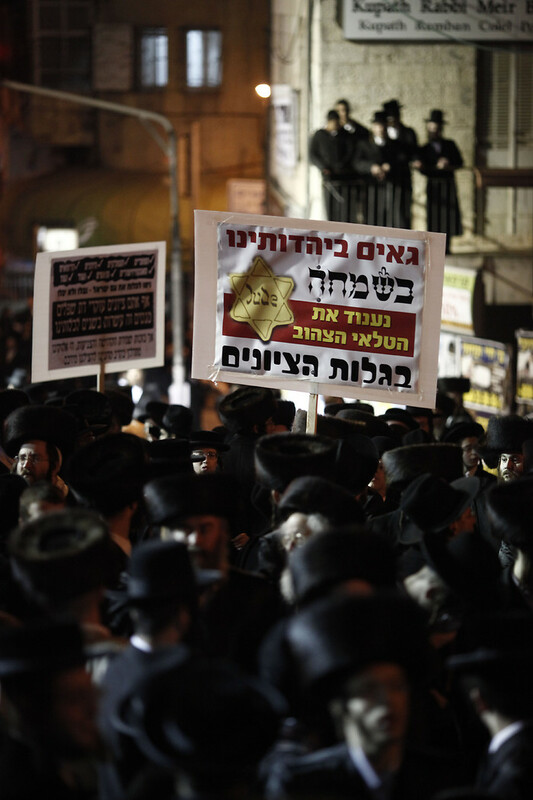 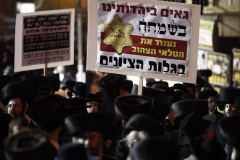 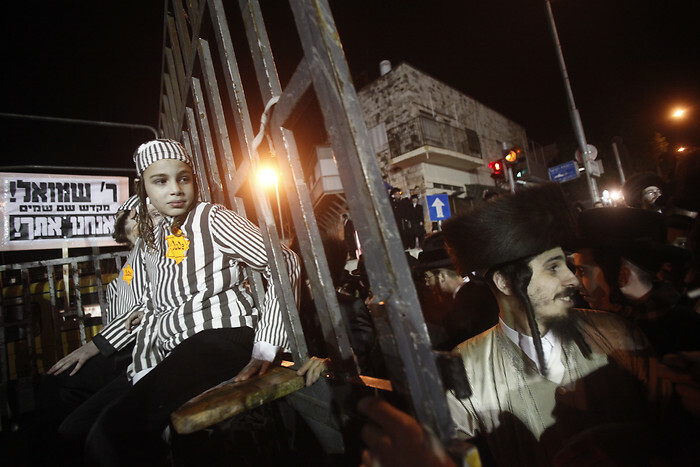 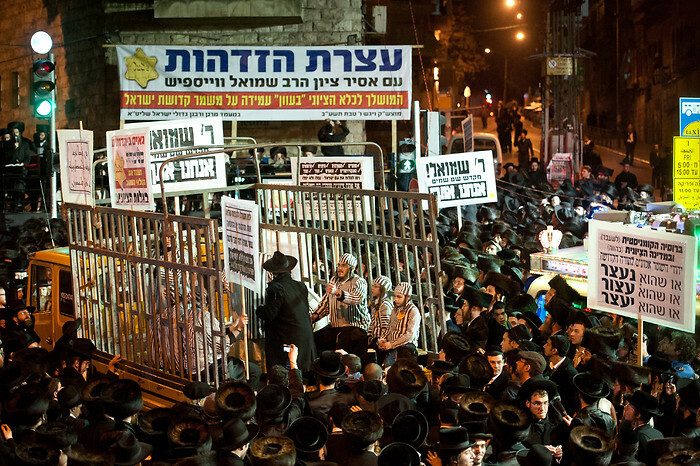 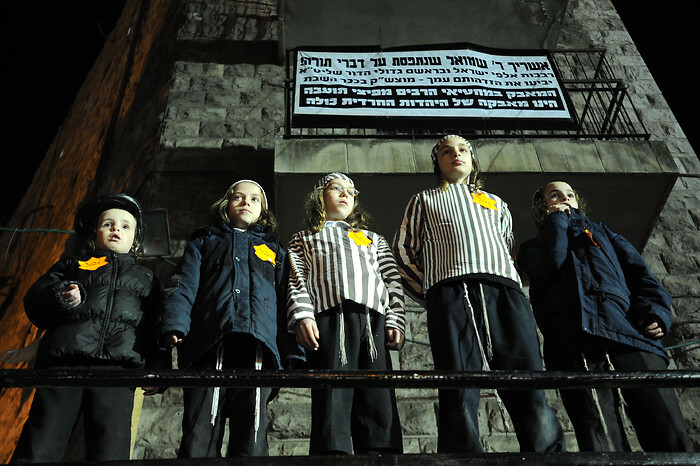 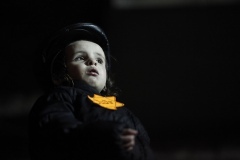 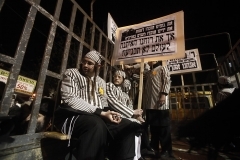 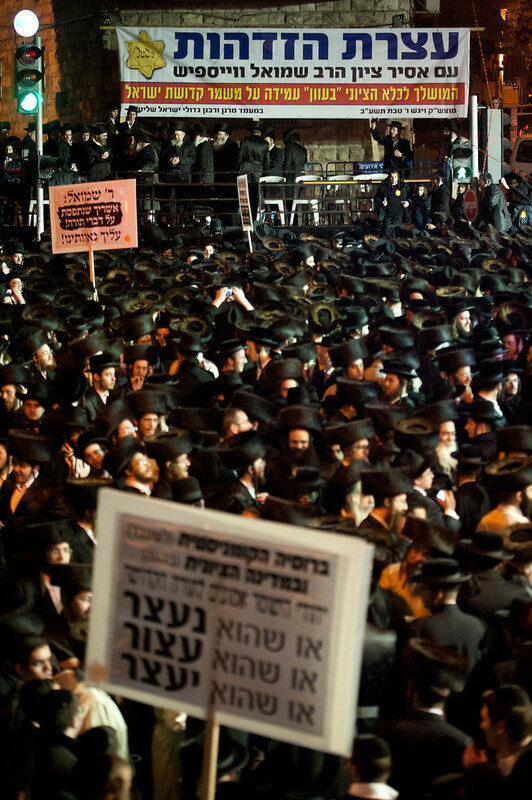 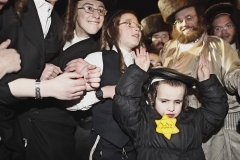 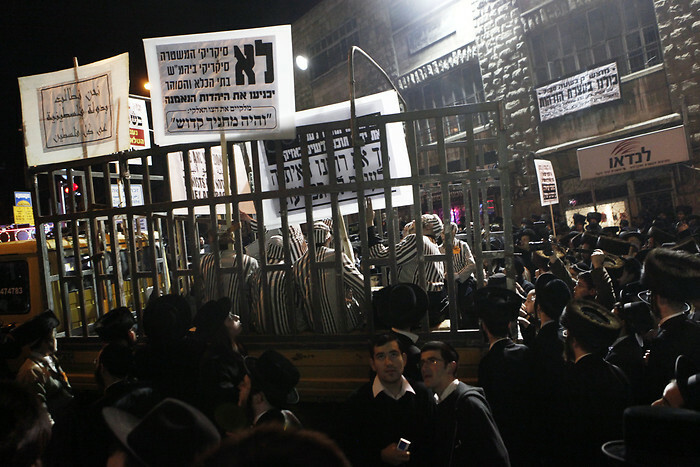 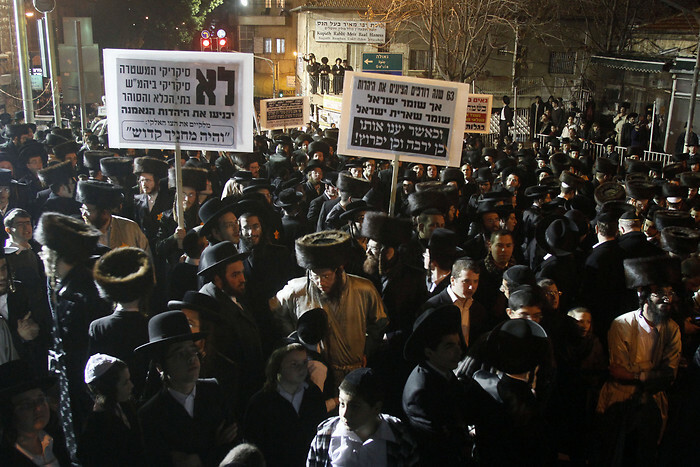 Meah She’arim, Israel – Over a thousand ultra-Orthodox men assembled Saturday night in Jerusalem’s Kikar Hashabbat (Sabbath Square), in protest of what they termed the exclusion of Haredim, a response to the recent outrage over the exclusion of women in Beit Shemesh and elsewhere. 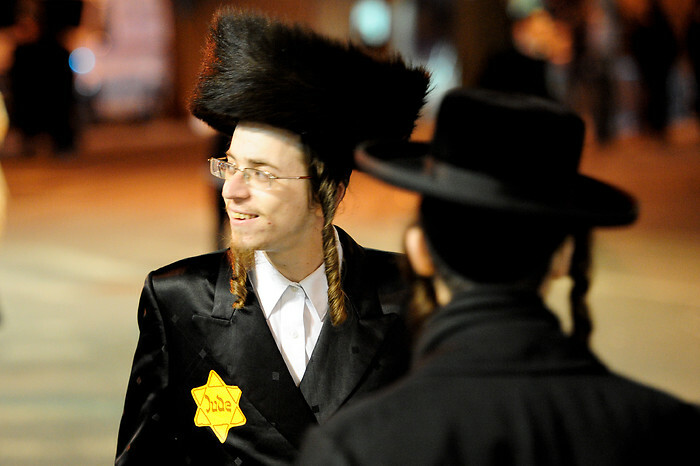 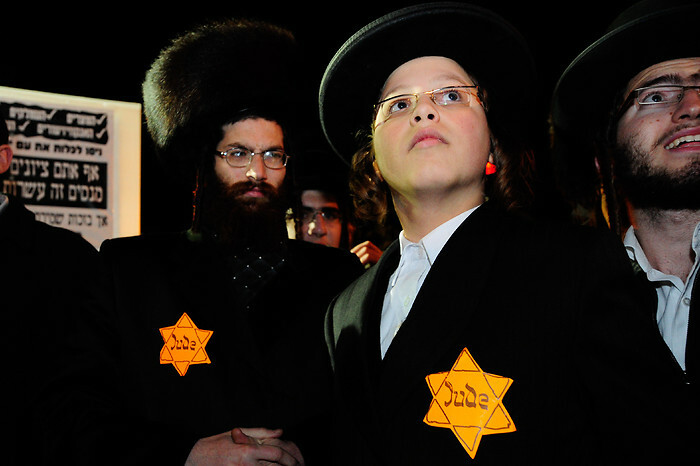 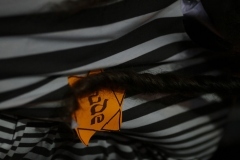 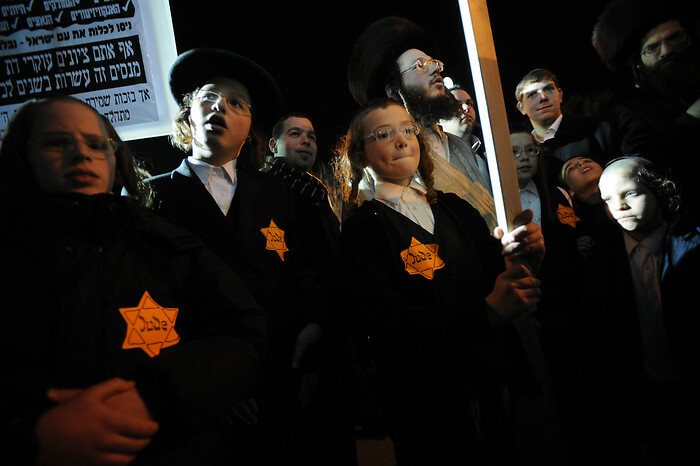 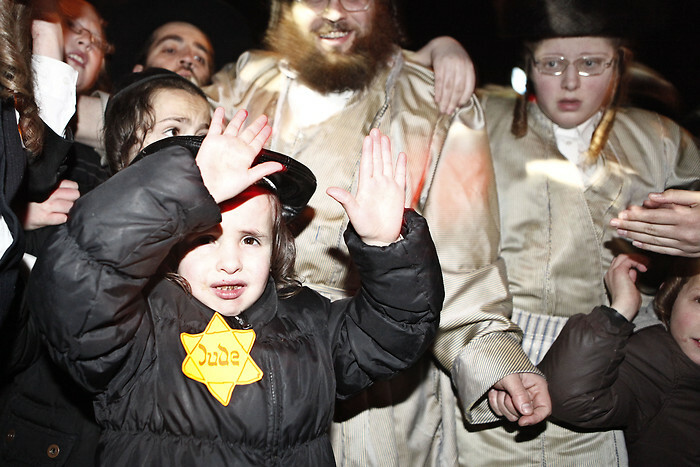 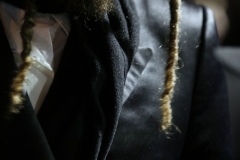 Some of the protesters are wearing yellow badges, with which they mean to express that they are being persecuted for their Jewishness in a “Nazi-Jewish” secular state. 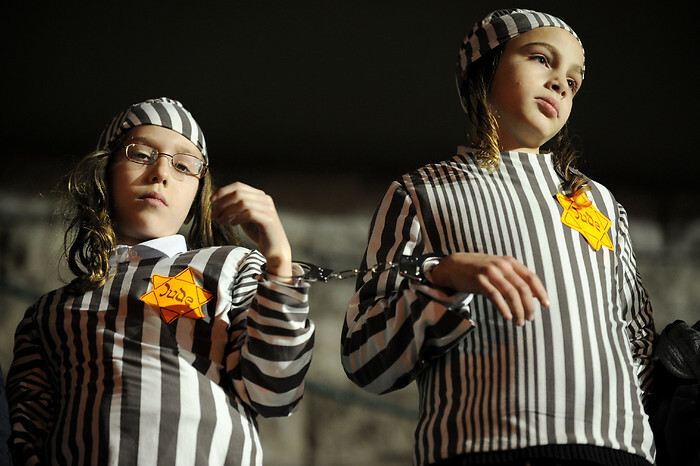 There are no words, as this is just plain sick and disturbing. I certainly hope these guys burn in hell. 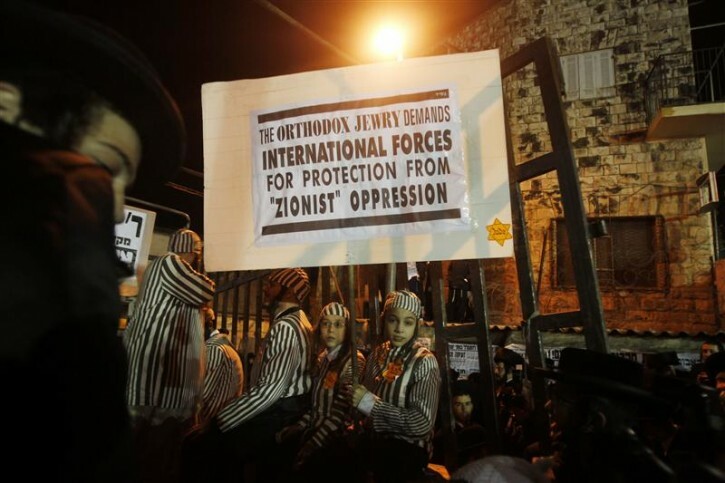 These guys clearly are so disconnected from the Holocaust that this demonstration doesn’t faze them in the least. 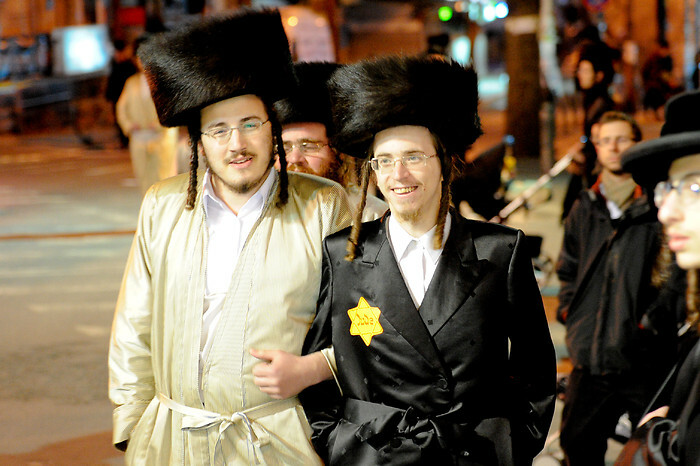 They are simply not human. 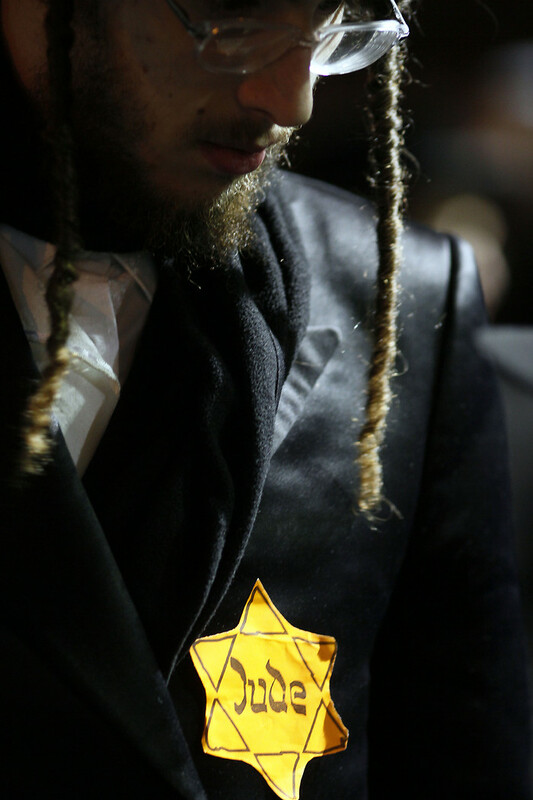 If my Zaida, he should rest in peace, was alive when this happened, this event would have killed him for sure as he was someone who SURVIVED through the actual holocaust yet kept his emunah. 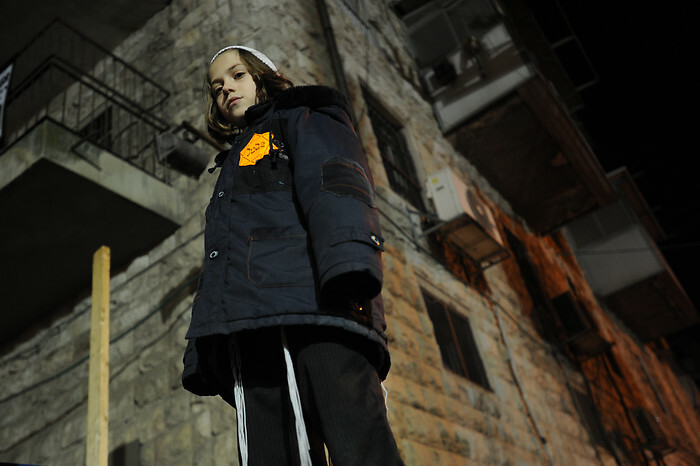 My anger now knows no boundaries.